Click here for all guitar basics videos. 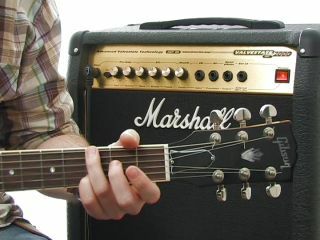 For most budding guitarists, the big attraction of the electric guitar is that it lets you rock out, and rock out loud. However, it's no good plugging your guitar into an amplifier if you don't know what the controls do. If you've just got your first amplifier out of the box and don't know where to start, then this is the tutorial for you. We explain how the controls work and what they do, and give you some pointers towards dialing in a decent sound.